Campbell Newman, 2012. 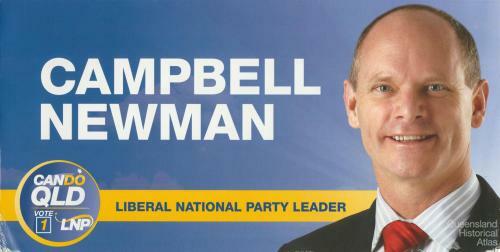 Liberal National Party (LNP) leader Campbell Newman campaigned for the 2012 Queensland State election from outside parliament. 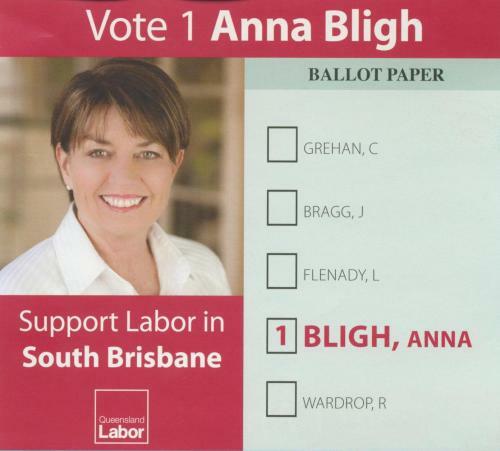 Election brochure, 2012.